Waterford, VA – September 27, 2018 – Today, Governor Brown signed a Bill (SB1017) to end commercial drift gillnet fishing and encourage a transition to innovative, more sustainable fishing gear. His action aligns the California swordfish fishery with modern goals for bluewater fisheries, such as locally-supplied seafood, community-based employment and, in support of it all, maintaining abundant and sustainable fishery resources and a healthy environment. “This action says loud and clear that it’s time to trade in outmoded, ecologically-harmful fishing gears for ones that sustain fishing while protecting the ocean environment,” said Theresa Labriola, Pacific Program Director of Wild Oceans. A diverse coalition of sport fishermen, ocean conservationists and coastal businesses, including Wild Oceans, the International Game Fish Association, Coastal Conservation Association of California and American Sportfishing Association supported the bill. The drift gillnet fishery sets nearly-invisible nets, fifty yards deep and up to a mile long. The nets drift freely overnight in the ocean and catch valuable swordfish. 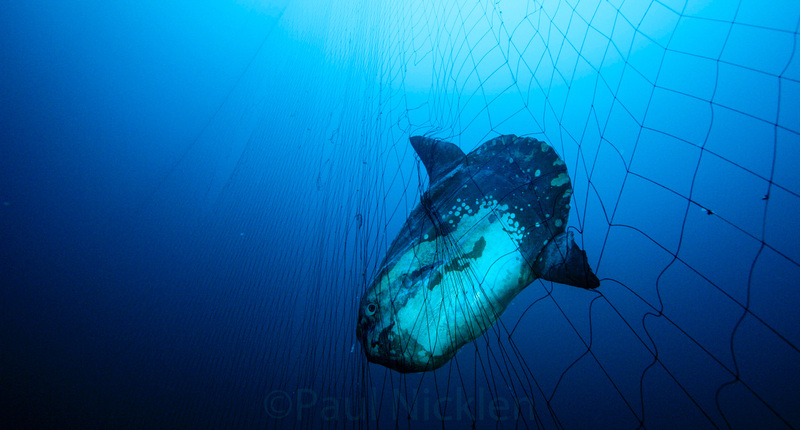 “Drift gillnets also trap 70 other species of ocean wildlife. For every fish kept, another is discarded. That is a senseless waste of our ocean resources,” said Bob Kurz, a Trustee for the International Game Fish Association. Now, the California Department of Fish and Wildlife will establish a voluntary program to retire drift gillnet permit holders out of the fishery. Participants will receive $10,000 in exchange for a permit. The program will also pay each active fisherman $100,000 to surrender their drift gillnets. The Bill requires the Ocean Protection Council to use $1 million to fund the transition program. Private organizations have agreed to raise $1 million and the remaining permits will expire four years after the private money is raised. “This hard-won victory was a long time coming. Finally we have found a way to phase out the use of these deadly and destructive nets without harming the commercial fishing industry in the process. I am grateful to Governor Brown for signing it into law,” said Senator Ben Allen (D-Santa Monica), who authored SB1017. Fishermen can transition to smarter fishing practices. One such emerging, smarter fishing method is the use of buoy-gear, which fishermen in Florida have used for over a decade to supply a high-value product with virtually no bycatch. Researchers and fishermen have modified the gear for use in California. A multi-year project testing deep set buoy gear being conducted through an exempted fishing permit has found that more than 80 percent of the hookups are swordfish and only 2 percent is bycatch. “The deep-set buoy gear fishery compliments the historic southern California harpoon fishery, an efficient, no bycatch fishery,” said Bill Shedd, President of Coastal Conservation Association of California. The harpoon fishery is exclusive to areas, such as the southern California Bight, where waters are calm and swordfish fin at the surface. Buoy gear fishermen regularly spot finning swordfish while tending their gear. Using buoy gear in tandem will likely increase harpoon-caught swordfish availability to California consumers.